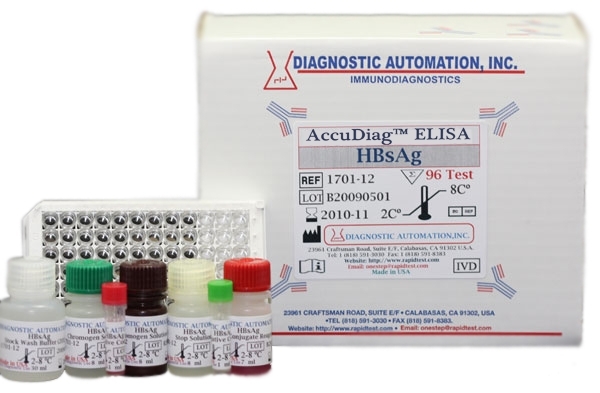 HDV Ag ELISA kit | GMP | 818-591 3030-USA. 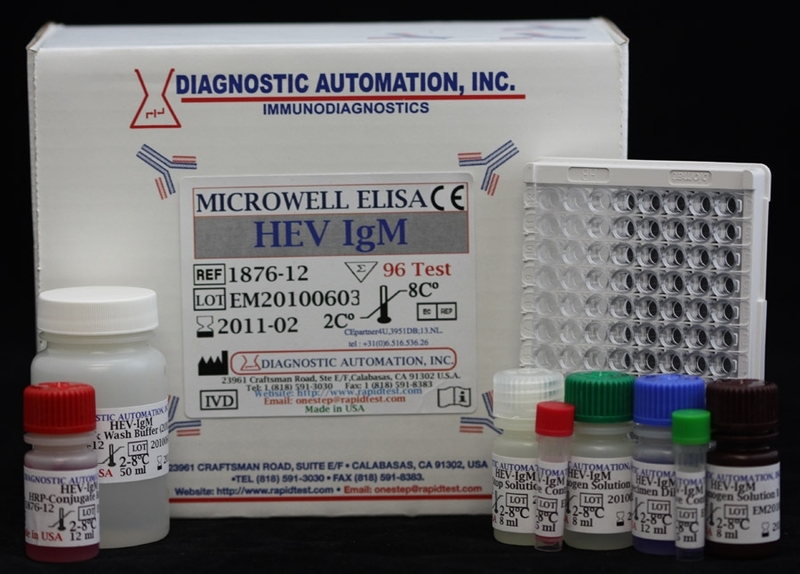 HDV-Ag ELISA kit, which is an enzyme-linked immunosorbent assay for the qualitative detection of hepatitis D antigens in human serum or plasma. 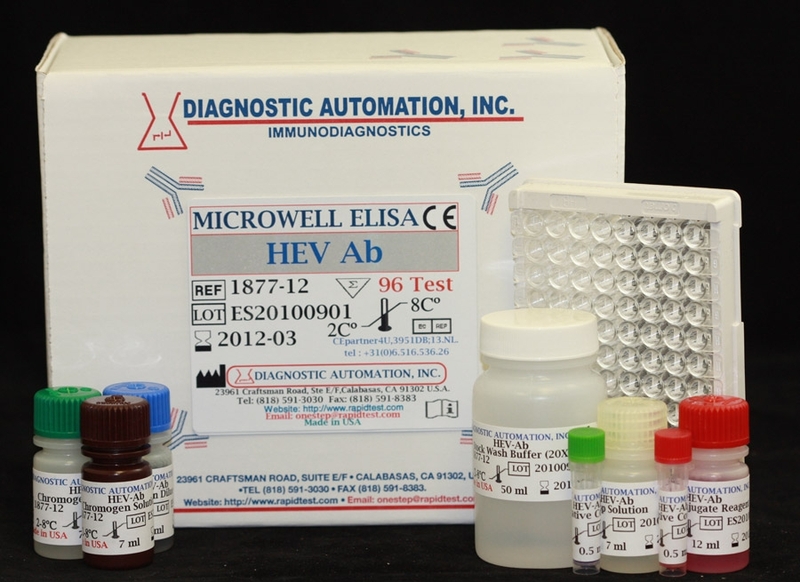 The purpose of the HDV Ag ELISA Test is for clinical lab diagnosis of patients who are suspected of hepatitis D (HDV-Ag) virus infection, and for epidemic analysis. 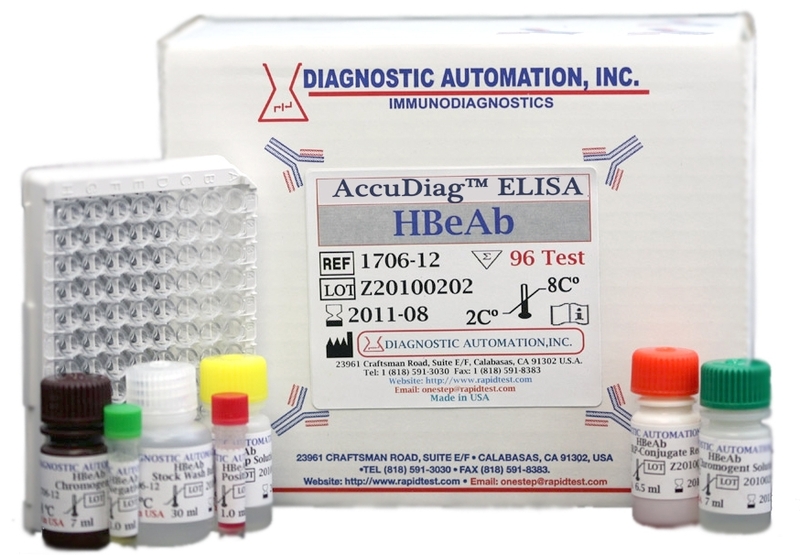 The HDV-Ag ELISA employs the solid phase, two-step incubation double antibody sandwich method. Serum/plasma from patient is added together with extraction solution after the polystyrene microwell strips are pre-coated with purified antibodies specific to HDV. If the HDV virus is present, the HDV particles are disrupted and what's captured in the wells is the specific HDV antigens. At this stage, unbound serum proteins must be washed off the microwells. 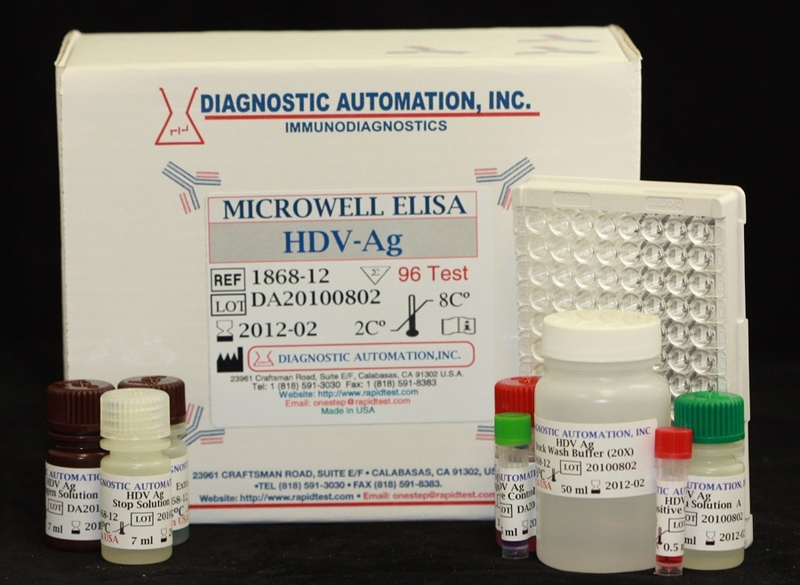 Most Infectious Disease ELISA kits follow a similar method. 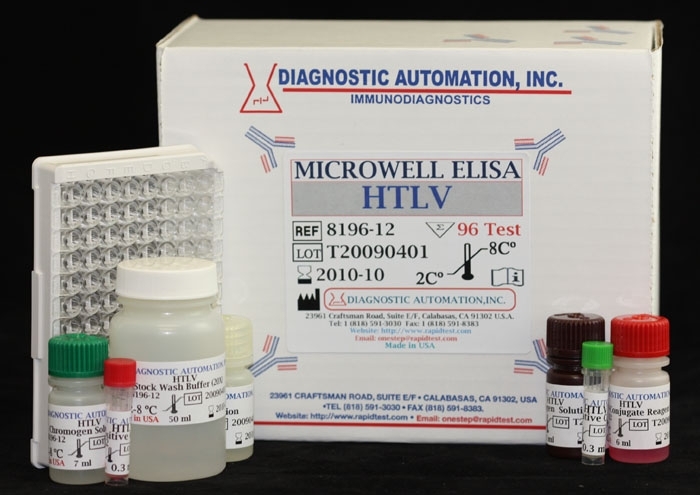 See the HDV Ag ELISA Kit product insert for details on preparation, procedures, quality control, and test result interpretation.